Deep cleaning is important for protecting your oral health. While a regular cleaning at the dentist focuses on the surfaces of your teeth and between them and around the gum line, a deep cleaning is used as a way to remove bacteria and other debris that have begun to collect under your gum line. Deep cleaning is also known as scaling or root planing and is a necessary procedure if your dentist feels that your oral health is not up to par due to bacteria. So, is it possible to accomplish at home what dentists and hygienists do during your in-office cleanings? No matter what you do at home, it’s not going to be as good as the care you get in the dental office. In addition to deep cleaning, dentists also check your oral health and do an oral cancer examination. You’ll also get tips for at-home maintenance of your teeth and help dealing with any serious problems you can’t fix at home. 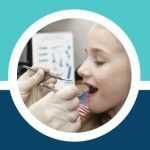 For more about how your dentist conducts an oral cancer screen, check out this information from the Mayo Clinic. All of that said, it is possible to do some deep cleaning at home. 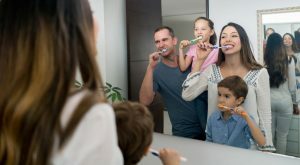 This can help you avoid having to visit the dentist for a deep cleaning more than two times per year, and in some cases, people are able to cut down to one dental visit each year because of their at-home efforts. 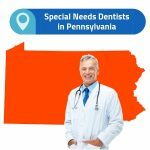 If you need help finding a dentist in your area, check out this information from WebMD. If you’re interested in deep cleaning teeth at home, what should you know? First and foremost, before you concern yourself with deep cleaning teeth at home, you need to make sure you’re doing general cleaning the right way. Without caring for your teeth properly on a daily basis, there’s no way deep cleaning will do you any good. Start with your tools. Make sure you have a toothbrush that feels comfortable and doesn’t make your teeth bleed. Most people do best with a soft toothbrush, but your dentist can help you make the best choice based on your needs. If possible, invest in an electric toothbrush that does a lot of the brushing work for you. It’s also a good idea to invest in something that helps you keep your toothbrush detoxified. Obviously, if you’re using your brush to brush away bacteria, the bacteria can build up on the bristles of the brush. Dipping your brush in something that kills the bacteria can help, but it also might make your brush taste bad. Instead, consider investing in a UV light that destroys bacteria and has no effect on the taste of your brush. Your brush should be cleaned after every use and replaced after three months or an illness, whichever comes first. In addition to brushing, you should also be flossing. 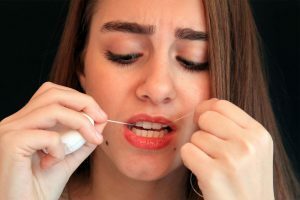 Choosing the right floss and knowing how to use it properly is essential for keeping food particles from getting trapped in your teeth. If this happens, you’re guaranteed to have a problem with bacteria build up and infection. A water flosser is a great way to make flossing easier and fun. It also reduces the amount of bleeding some people experience when flossing. For more about the benefits of a water flosser, check out this information from Waterpik. Finally, find a toothpaste that works for you. You should like the taste of your toothpaste, but you also need to make sure it works. 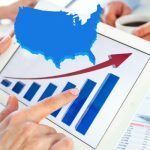 There are plenty of great options on the market and if you aren’t sure what type of toothpaste to use, consider asking your dentist. If you’re looking for something natural, but you don’t love the taste of your choices, consider adding a bit of spearmint or peppermint essential oil to the mix. It should only be a drop,and it needs to be essential oil that is safe for human consumption – even though you should never eat toothpaste! Finally, consider a mouth rinse that helps prevent plaque from building up. There are natural recipes for rinses you can use at home, or you can use a commercial product designed to keep teeth healthy and boost your breath. Once you have your general daily cleaning routine down, you can begin to consider at-home deep cleaning. Dental scaling is necessary because it removes everything that accumulates between and on your teeth, even if you are brushing and flossing on a regular basis. No matter how diligent you are with daily dental health, there will be some buildup. You’re better off being diligent because it reduces the buildup, but you’re always going to have some you’ll need to deep clean. Skipping scaling and deep cleaning puts you at risk for cavities and gum disease. To scale your teeth at home and get a deep clean, you’ll need a few dental tools. Handheld instruments are available for at-home use but can be difficult to maneuver in your own mouth, especially if you’ve never been trained to scale your teeth. Keep in mind, these tools are sharp,and you can cut your mouth or gums if you’re not careful. There are also ultrasonic instrument available for deep cleaning teeth at home. These are a better option if you can afford them because they don’t require you having as much dexterity as the manual cleaning tools require. Is It Safe to Deep Clean Your Teeth at Home? Some people can safely do a deep clean at home without any problems but should still consider the occasional trip to the dentist for aprofessional deep cleaning. It’s also important so you can make sure your overall dental health is in good shape. What some people find is that deep cleaning their teeth at home cuts down on their overall dental health problems. 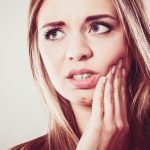 It means they don’t need to experience as much discomfort during their professional visits and they don’t need to worry as much about plaque and tartar buildup. If you have questions about deep cleaning your teeth at home, ask your dentist for more information.